As it all goes quiet, you can watch that timeless moment once again and commune with your soul. This article points to the 5 places where you can get to see the best sunsets in Phi Phi Island. It also points to why most people don't get a chance to see them. The best sunsets in Phi Phi are not seen by the majority of people who go to the Island. 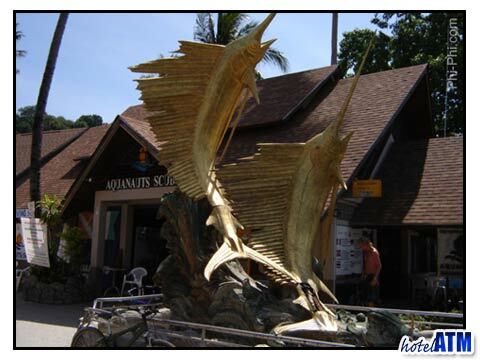 Most Phuket and Krabi sightseeing or snorkel tours return before sunset and 70 % of the accommodation is in Phi Phi Don Village with the Tonsai Cliffs shielding the sun from view. The traditional best sunsets in Phi Phi are found in high season from November to the end of January when there is little cloud. This is around the peak season. In the latter half of high season (February till April) the sunsets are extraordinary as the haze in the atmosphere sends the light and colours into richer and rosier hues. Low season can be cloudy but when the sunset breaks through the contrast of mood can be overwhelming. There are 5 main places to get the best sunsets in Phi Phi, Phi Phi Viewpoint, Long Beach, behind Laem Tong, Nui Bay and at sea. 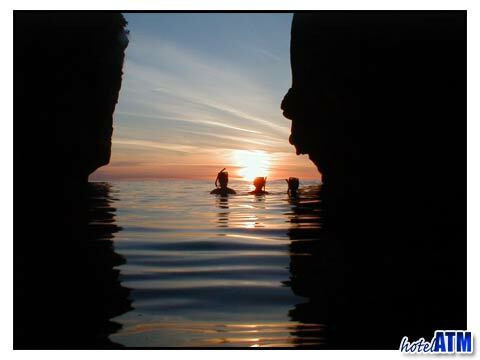 The sun sets from 6.30pm until 7.00 pm depending on what time of year we are in with the shortest days being in June. As you look up towards Phi Phi Viewpoint you will see a stream of camera flashes trying in vain to capture the moment. This large Viewpoint panorama takes in the Tonsai Cliffs and the highest mountain peak of Phi Phi Don, and the islands of Phuket, Phi Phi Ley, Koh Yai Yai, Koh Ha, Koh Ma and more. Many will testify that Viewpoint has the best sunsets in Phi Phi. As the sun drops and the light quickly goes you need to descend the mountain before it's dark or take a flash light. Phi Phi Viewpoint Resort has many room types on the gentle slopes of the Viewpoint hill and the highest ones have the best sunsets in Phi Phi Don Village. The best sunsets in Phi Phi Long beach ban be found at the far eastern end of the beach in the 3 star Phi Phi The Beach Resort and the seasonal and 1.5-2 star Phi Phi Hill Resort. The room types that are higher up the hill have superb sunsets that take in Phi Phi Ley and the cliffs on Phi Phi don. Phi Phi Hill Resort is a budget accommodation but has 6 star views. The best sunsets in Phi Phi Laem Tong can be found up behind the Holiday Inn Phi Phi Island which has a sunset viewing pagoda. The views of Lanah Bay and the cliffs exquisite. Zeavola Phi Phi Resort guests can reach a sunset view from the cut-through to the high season pier. This isn’t strictly an obvious choice but it is the only beach that gets direct sunlight on to it at sunset. 'Nui' means little or small however it is framed by jungle covered walls and looks out onto Camel Rock. You can reach Nui Bay by longtail boat from the main village on Loh Dalum beach. If you are staying at Phi Phi Island Village Resort And Spa you need to walk to Lanah Bay and cutting through over a 30 metre pass near the sea gypsy encampment you will reach your goal. The Sunset Snorkeling Tour of Phi Phi Ley does what it says in the title. After swimming and snorkeling in Loh Samah and and Maya Bay it takes you out into the ocean to feel the magnificence of a tropical sunset.